This wasn’t part of the plan. Today is utter chaos. Everyone’s looking at us right now. They can probably smell us, too. This is our third and final train of the day and we have just four minutes to catch it. We’re sweating profusely, sprinting with 90-pound backpacks and pushing an overloaded stroller, all while carrying a wailing toddler. Despite some setbacks, we should still reach our new home by midnight. 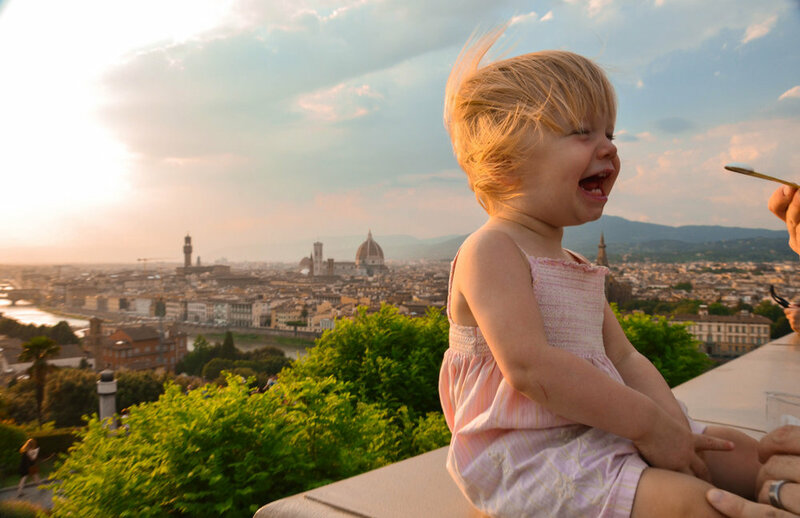 In six months, we’ve lived in 20 homes and have seen 47 different cities in 10 countries, all with our two-year-old. And no, we’re not running from the feds. 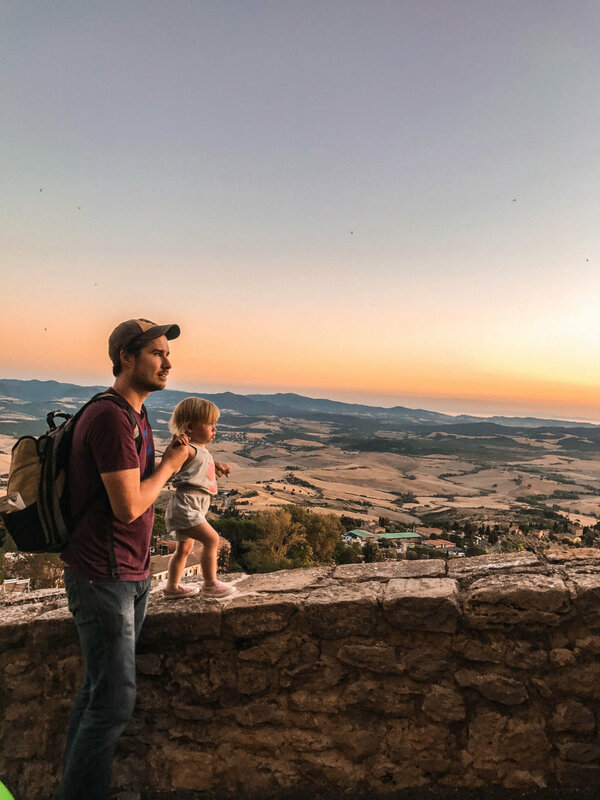 We’re a full-time travel family. Some call us nomads, others call us crazy. Whatever we are we’ve never been happier, and it’s all because we stopped dreaming. Months before this, my husband and I sat parked by the ocean. Our baby lay asleep behind us in the sensible family SUV we’d purchased for her. Staring over the waves, we discussed our first move as a young family. The lease in San Diego would soon expire and we hadn’t planned our next step. A dramatic change was needed, though. We were living beyond our means. Our urban neighborhood was perfect, but we paid too much for a home we would quickly outgrow. It pained us to consider leaving that little paradise. 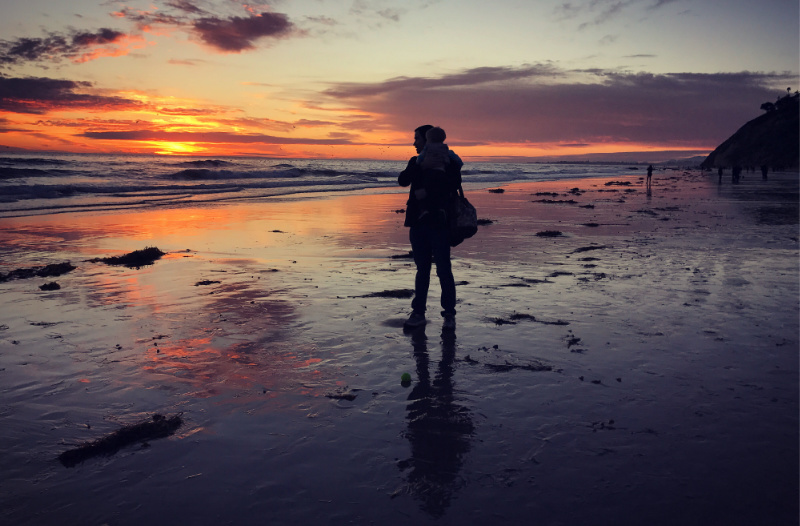 We had always envisioned raising our children by the California surf, but that seemed increasingly unlikely. Every home by the coast was too expensive and anything affordable was miniscule. The alternative? Find a cheaper place inland and live the suburban existence. We balked at both options. We would need to climb another mountain of debt to own either house. My husband and I were starting to feel stuck. 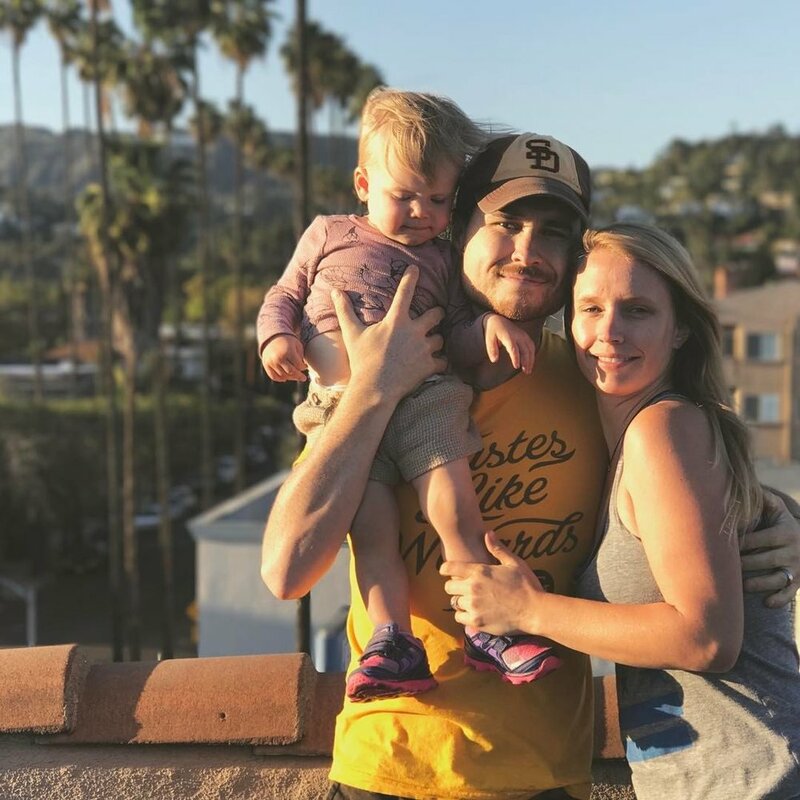 Right after our daughter was born, my husband landed a remote job that proved to be crucial to our immediate future. We settled down into our own beautiful hot-mess of perfection and lived "according to plan." However, we eventually became complacent. We spent less time exploring our coastal paradise and more time staring at the television. Our pants grew tighter and our good habits devolved into bad ones. We eventually found ourselves at the crucial crossroad that so many young couples experience. There we sat in our tight pants, staring blankly at the ocean’s horizon from the front seat of the sensible family car we had just purchased. While our daughter lay asleep in the back seat, my husband and I discussed our first move as a family. Like many other people our age, we lived beyond our means. He lost me. It was as if he was reciting lines from a memorized script, complete with keywords like equity and escrow. I had to shake him from his trance. I couldn’t stomach that phrase: settle down. I already felt trapped. I became instantly anxious. Has he snapped? Overwhelmed, I was ready to scream. But then, inexplicably, my anxiety subsided. I felt calm. What’s holding us back? He’s right. Nothing. Seriously nothing. At that moment, we decided we couldn’t settle down just yet. Instead, we would forge our own path. Instead we decided to unsettle. 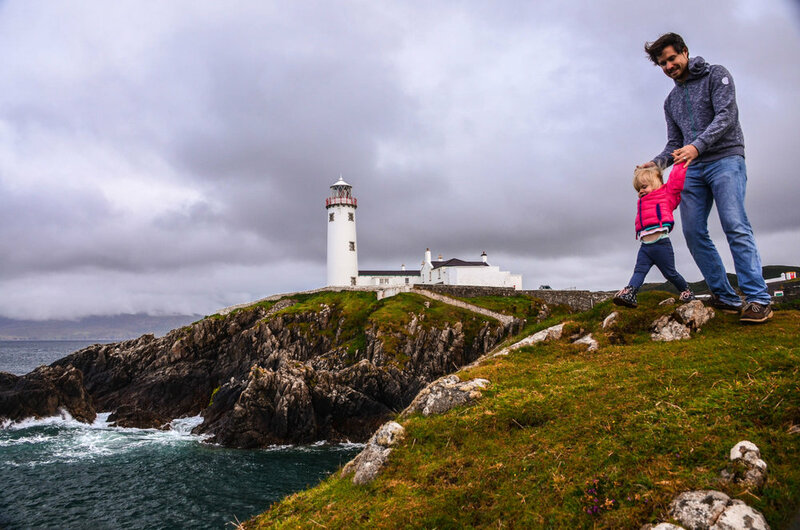 Kailen forging her own path in Donegal, Ireland. We didn’t realize it until that moment, but my husband and I both share the nomadic gene that drives some humans to stay mobile. We just needed to stare down the status quo, stop dreaming, and start planning. The months that followed were a blur of never ending research and little sleep. We organized yard sales, sold a car, planned routes, scheduled flights, and booked flats. As we neared our departure the excitement became palpable, but we made sure to tell not a soul. We'd made that mistake before, and no false sense of accomplishment would slow us down again. We sold everything of monetary value and bought a one-way ticket to Italy. We then told our family. It was official. The easy part was over. This little girl has logged 20+ flights. In the first few months on the road, we discovered the good, bad, and ugly sides of full-time travel. It may seem like all fun and games on our Instagram, but our life isn’t only filtered photos. 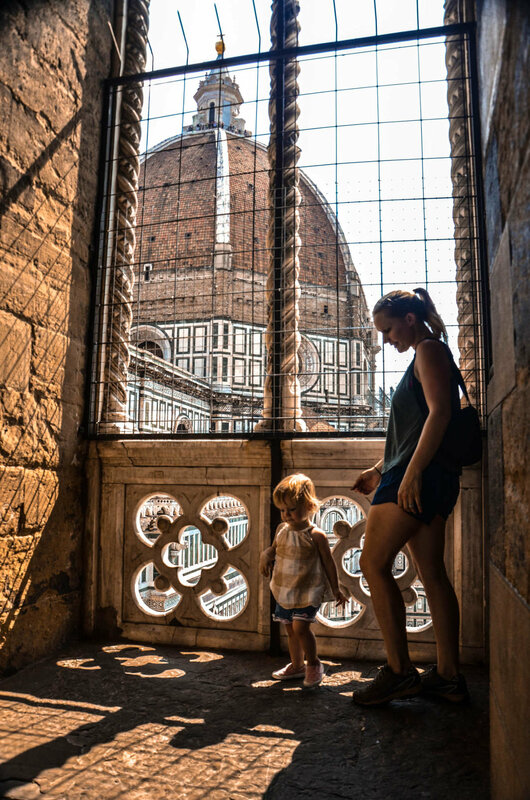 Most of our time outside parenting and work isn’t sightseeing. It’s hundreds of hours researching, continuously outlining itineraries, planning transition days, and budgeting. Without constant attentiveness, we wouldn’t survive a week. We learned that bit the hard way. On Day 1 of our travels, we accidentally checked our daughter’s stroller straight to our final destination. Big mistake. We had to frantically carry her and our luggage through Frankfurt airport after the red-eye. We didn't Instagram any of that. On day 35, we drove three hours and unloaded our car before realizing we left a bag at the rental office. No tweet about that. On day 86, we took a bus to Malmö, Sweden. My phone was stolen out of my bag while it sat in our stroller. That didn’t make Facebook. Beyond the logistics, this hectic lifestyle not only tries our memory, but also our marriage. Keeping the flame of romance burning is, let’s say, a fun challenge. Having no babysitter means no dates. 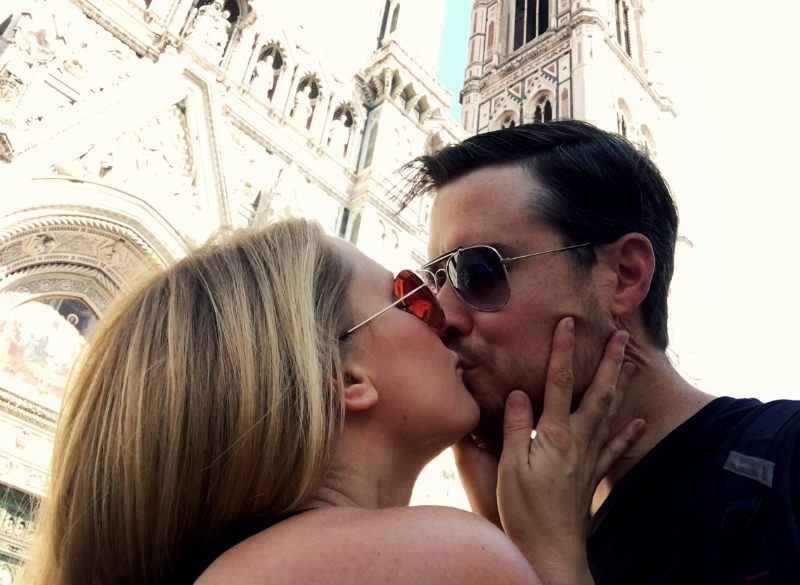 Even in Venice, the world’s most romantic city, we couldn’t steal away. 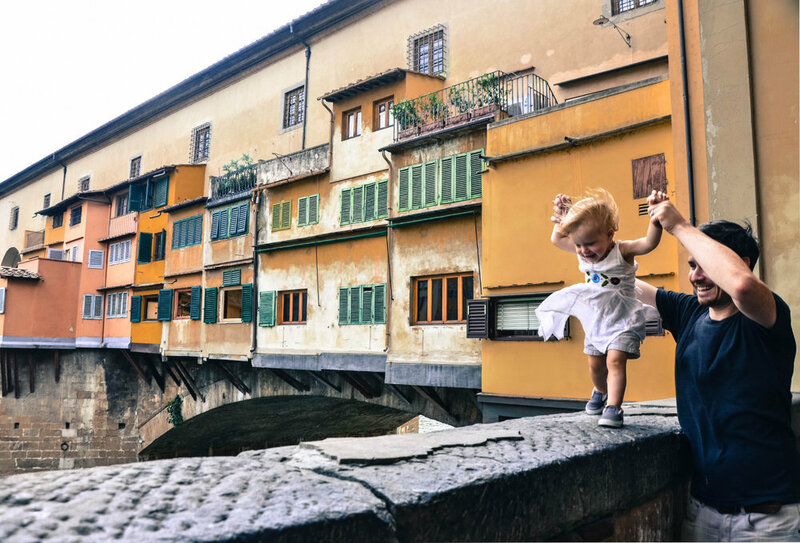 Steeling a moment in Florence, Italy. Still, the good far outweighs the bad and the ugly. Nomadic life isn’t as convenient as our life in California. However, it’s a wonderful thing to experience because nothing good comes easy. We’re no longer complacent in our daily lives and we revel in the small moments we once overlooked. Television isn’t part of our routine anymore, and for that, our pants fit better. We’ve taken back our time. As empowering as this is, there’s one considerable hurdle to overcome — finding comfort in constant change. We’re essentially alone, far removed from family and friends. We put our daughter in a new bed every few weeks. We live out of backpacks. The initial uncertainty was overwhelming. I cried driving away from our daughter’s first home in San Diego. She had recently learned the word “home” and said it whenever we arrived. 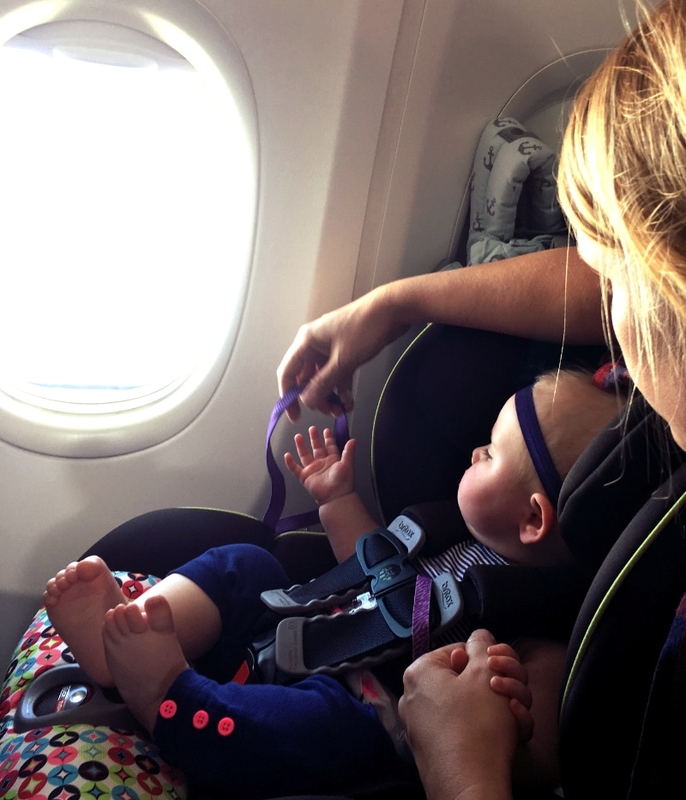 But after our flight through nine time zones, she fell asleep in her new room without a care in the world. In that moment, she perfectly illustrated why the best and worst part about unsettling down is the constant change. Thriving as nomads requires embracing doubt, welcoming uncertainty, and being certain of ourselves. We’ve become more resilient, confident, and stronger. But, Will it Work with a Kid? To some, it seems an impossible endeavor. Others think we’re selfish because we’re depriving our child of certain things. Well, we sold most of her toys in a yard sale. We felt terrible, but she hardly noticed. It took me 30 years, and my daughter’s inherent wisdom, to realize I’d rather collect memories than things. We spent our 2nd wedding anniversary in the Cinque Terre region of Northern Italy. Despite her face here, Kailen really enjoyed the boat ride. Ultimately, we want to teach our child that not all classrooms have walls. She won’t learn empathy, heartbreak, or joy from textbooks or backlit screens. She’ll learn from experiences and be better for it. Travel will spark her character, open her mind, and strengthen her courage. It will teach her more than we ever could alone. Her childhood pictures will be different than most. Years from now, when she looks back on them, my husband and I hope she’ll have the same beaming smile on her face. When it’s time for her to forge her own path -- whichever direction it takes her, she’ll know where to go. So, does it work with a kid? Absolutely. Scaling walls is Kailen's favorite activity in any new city we discover. Enjoying gelato at Piazza Michelangelo. We adjusted quickly because our daughter led the way. She had no preconceived notions of what her life should be, so she welcomed everything with open arms. In turn, she taught us the most valuable lesson about this nomadic life we lead... our home is roaming, so our hearts must be, too. On Day 11, Kailen used the word “home” to describe our new flat. The bed in her room became her "owl-bed" because of the paintings above her mattress. She now gets excited about every new room she resides in and names them on her own. Despite our initial fears and our longest days, the truth is that unsettling down is the best decision we’ve ever made. I’ll admit, this adventure is a balancing act. We walk the line between living for the now and living for the future, between wandering and planning, and between spending and saving. But some of our wildest dreams have already come true. We’ve realized our capacity for adventure is boundless. Our minds are unencumbered and our eyes are set on grander sights than we could have ever hoped. We’ve changed who we are for the better. 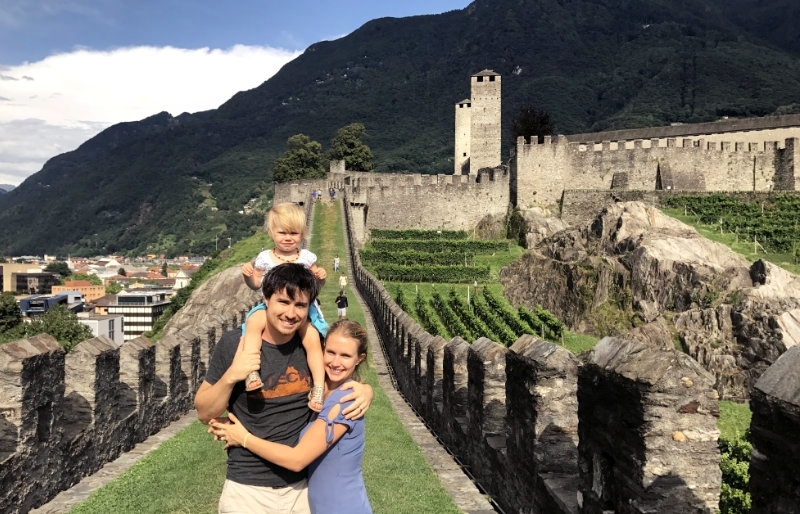 A rare family photo in Bellinzona, Switzerland. “Don’t call it a dream, call it a plan.” Because if you plan enough, you won’t have to dream anymore.